The US-based Pentagram partner gave the film and TV reviews website a new look this year, which aimed to neaten up the previous branding. While the letters in the logo were previously dishevelled and unaligned, Oberman brought all the type onto a level line, made the spacing between letters consistent, and tweaked the tomato symbols that featured in the “o” characters of the logo. An icon was also designed; a simple red tomato shape, with the letters “RT” created out of negative space in the middle, to be used as a shorthand for Rotten Tomatoes. While this was Design Week’s most-read branding story of 2018, the rebrand received mixed reviews – some readers lauded it for its simplicity, while others claimed it looked “cheap”, while others compared the work to a “UX design student’s final project” – ouch. With the recent contention around Parliament’s vote on Brexit being called off, the role of the House of Commons and Lords has received more media attention in recent months than previously. 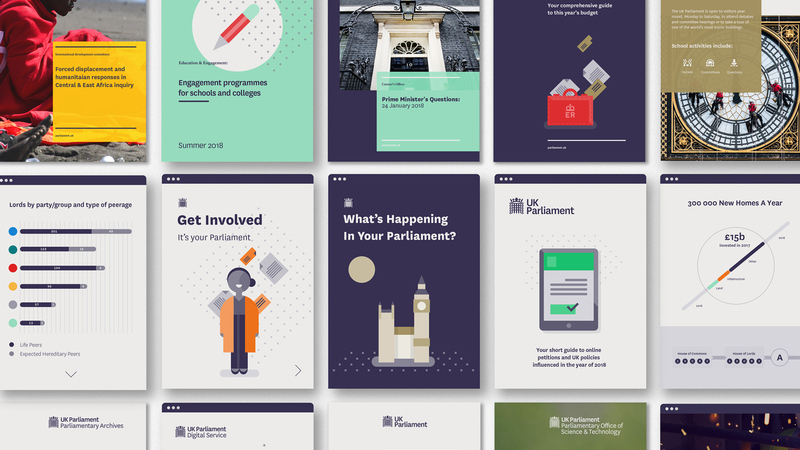 This year, SomeOne gave the Houses of Parliament a complete overhaul, which involved a name change to UK Parliament, a refined portcullis logo, the introduction of a new sans-serif typeface called National and a new set of brand guidelines, to help Parliament create on-brand materials in the future. The aim was to create a brand that worked better across digital channels, says Simon Manchipp, co-founder at SomeOne, as well as focus on the work the two houses (Commons and Lords) do rather than the buildings themselves, according to a Parliamentary spokesperson. 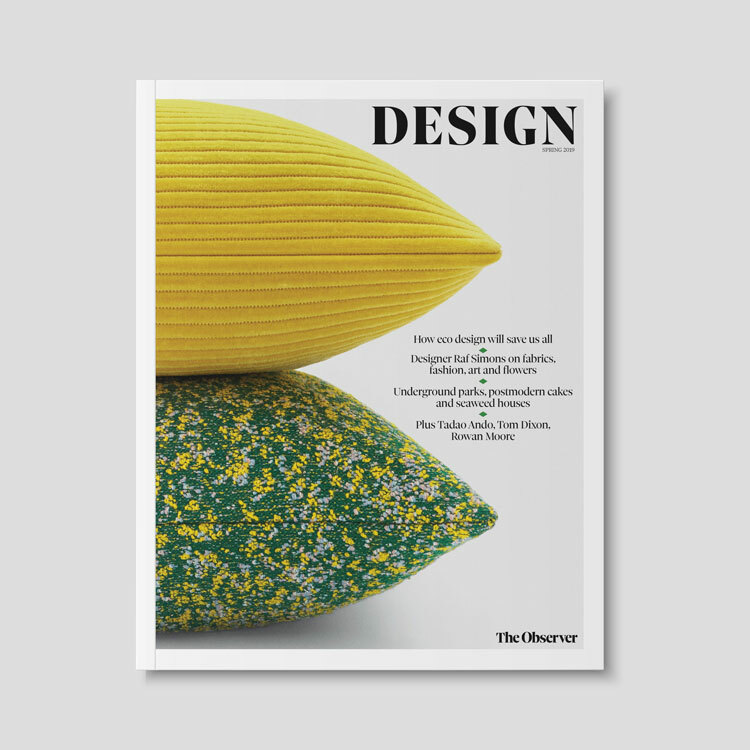 The rebrand was also interesting politically given the contention around the use of public money for design projects, which is a sensitive issue with prior projects receiving scrutiny, such as when the NHS updated their design guidelines in 2017. The argument in favour of such projects is that streamlining branding and online platforms can save organisations money in the long-term, as well as empower the public by making services more accessible. 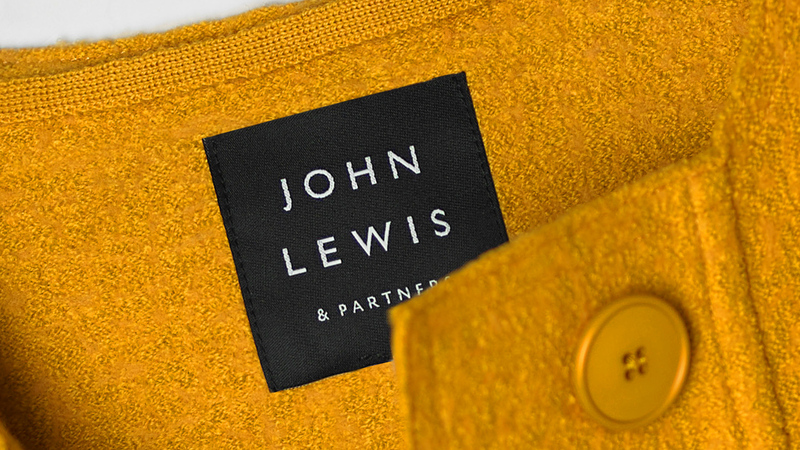 One of this year’s biggest rebrands was, no doubt, that of the John Lewis Partnership. Like many other high-street brands, the parent company, which owns retail chains John Lewis and Waitrose, has had a difficult financial year, with its annual group profits dropping by 22% to £289million in March 2018, according to the BBC. Pearce told us that the rebrand, which took three years to complete, is “very much in the spirit” of John Lewis moving forward into the future, amid the high-street crisis. 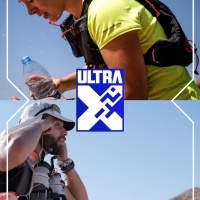 The main feature of the new brand is the addition of “& Partners” into the brand names, alongside the use of sans-serif typeface Gills Sans, and a coloured stripe graphic used across both stores. 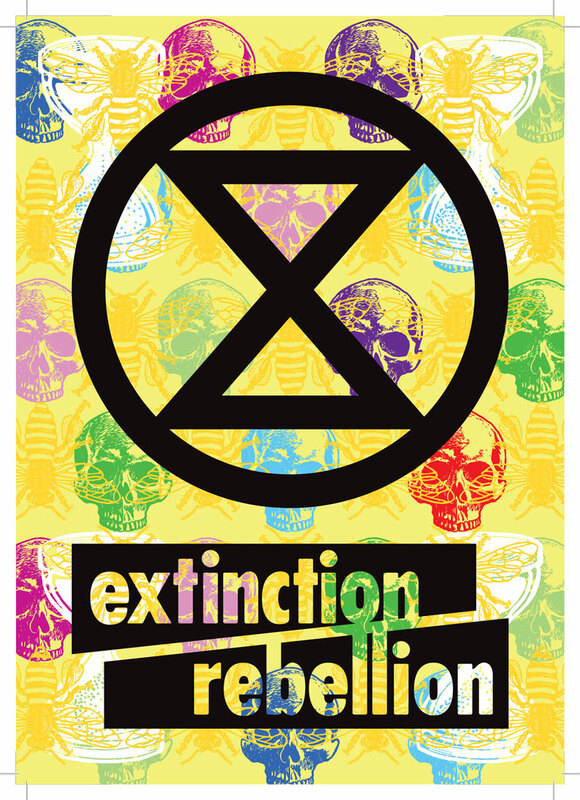 It aimed to create consistency or a “bloodline” between John Lewis, Waitrose and the John Lewis Partnership, while accentuating the organisation’s employee-owned business structure – which means all the company’s workers are shareholders – through the “& Partners” appendage. Not strictly a rebrand story in itself, Paul Bailey, strategy director at design studio We Launch, wrote a fascinating piece on what it is that makes a brand recognisable today. He argued that the visual logo is no longer the only important part of a new brand, with everything from shorthand icons to how a brand sounds – its sonic branding – to its name playing a crucial part. He also questioned the legitimacy of trends – by applying clean, flat-graphic, sans-serif to everything, are brands losing their heritage and character? Free internet browser Firefox became another brand to launch an open-source design project this year when it asked its users to help pick its new branding in July. The rebrand came as Firefox was looking to branch out into other online services, such as file-sharing tools and virtual reality. Mozilla, which is the parent company that owns Firefox, asked the public to pick between two possible identity systems, one centred around a diamond icon and the other centred around a fire icon. While the public were not able to vote, they could leave feedback in the comments section on the Mozilla blogpost detailing the two proposed brands. The final brand is yet to be chosen. Formula 1 (F1) was embroiled in controversy at the start of this year, a few months after launching a logo that bore a resemblance to that of a flight socks and tights brand called Futuro. 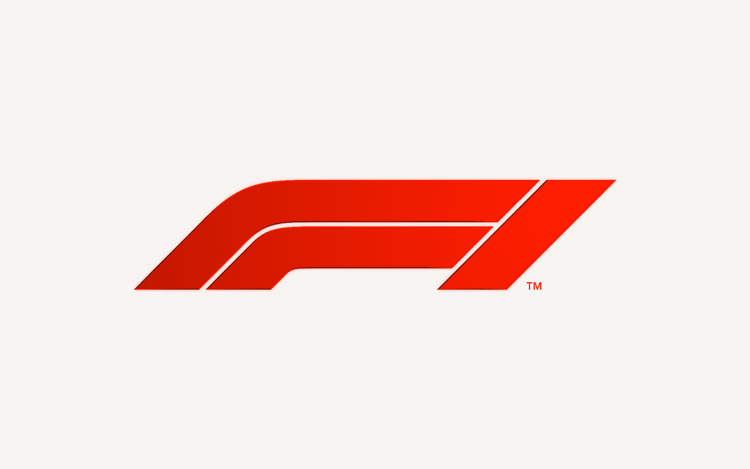 The F1 logo was designed by advertising agency Wieden + Kennedy, which said it was designed to look like the form of a race car, made from slanted “F” and “1” characters. The Futuro tight brand, which is owned by company 3M, also has a slanted logo that appears as an abstract “F” shape. 3M alleged that F1’s logo, which was launched in November 2017, infringed on their copyright and that said it would be “looking into the matter further”. Despite threats of a lengthy legal battle, F1 has not been forced to drop its logo, which is still in use across its communication channels. One of the biggest sports rebrands of the year was for Wolverhampton Wanderers football club (F.C. ), which had a three-dimensional revamp given to them by design studio SomeOne. 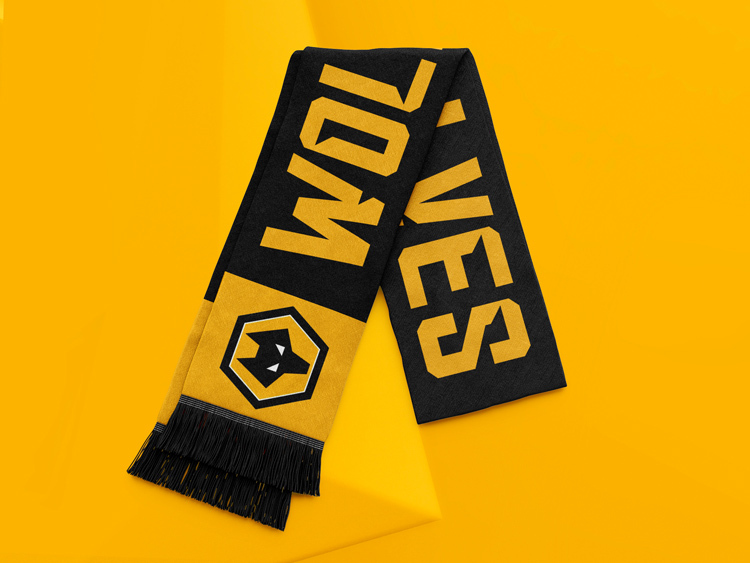 As well as a new crest made up of a 3D, angular, yellow symbol of a wolf’s head, the rebrand also included two new sans-serif typefaces, Wolves Display Cut and Wolves Display, a yellow, black and white colour palette, and refreshed marketing, communications and merchandise. The new geometric look aimed to nod to Wolverhampton’s industrial heritage, the design studio told us, while the 3D feel aimed to enhance how the brand worked digitally. Rather than an actual redesign, this story was more metaphorical and centred around a campaign launched by advertising agency, McCann London. The Visability93 campaign looked to raise awareness about the existing wheelchair symbol, which is used to indicate facilities that are accessible to those with disabilities. 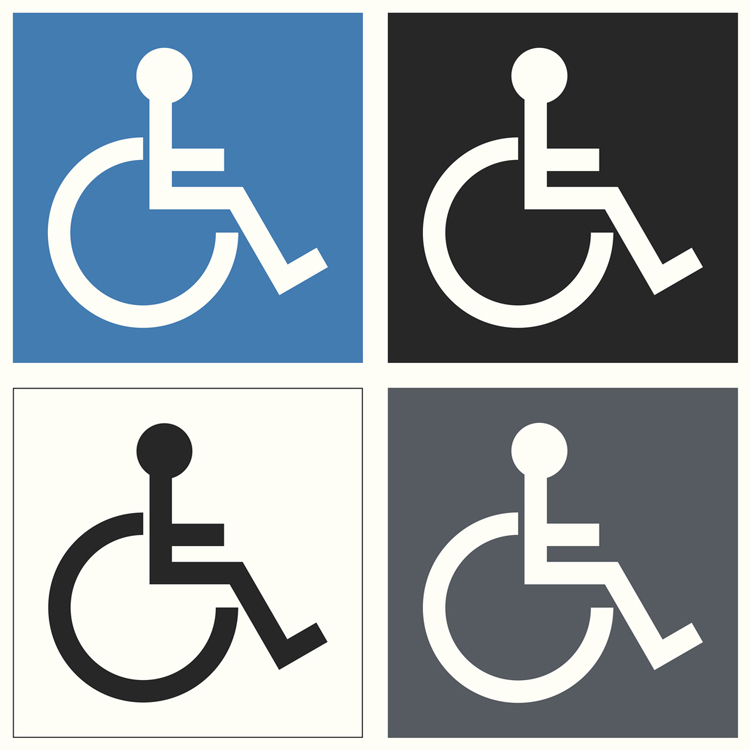 The agency questioned whether this symbol is truly representative of all disabilities. Part of the campaign involved designing 27 new potential symbols to represent different disabilities, from epilepsy and diabetes, to Alzheimer’s and depression. The aim was to think of ideas that could go towards redesigning the existing disability symbol to make it more universal, said Liam Riddler, art director at McCann London. He added that the aim was not to completely replace the “highly effective and recognised” existing wheelchair symbol, but “tweak” it in some way. 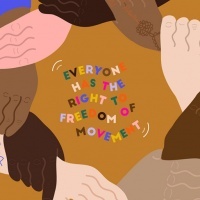 The campaign drew a lot of attention and some raised eyebrows – while some merited the efforts of inclusivity, others dismissed the idea of coming up with one symbol to cover all disabilities as an “impossible task”. Mother Design rebranded the 200-year-old department store in September, giving it a bespoke logotype based on sans-serif typeface SangBleu alongside a new marketing campaign. 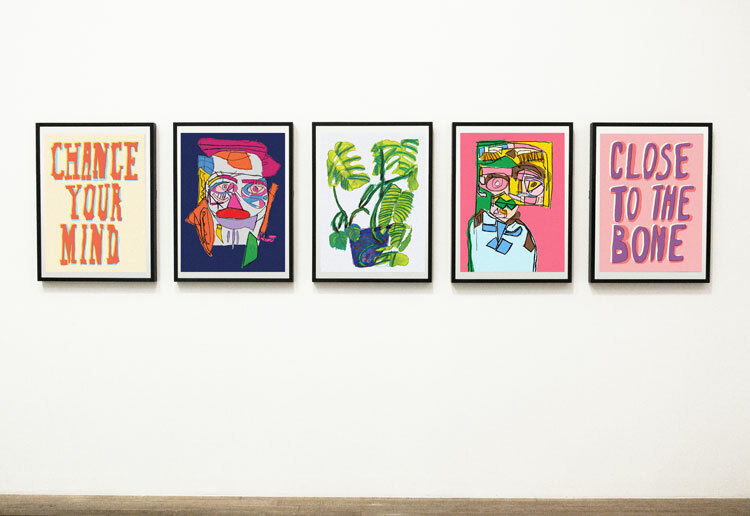 The campaign looked to be “playful” in its tone and was based on the tagline “do a bit of Debenhams”, alongside surreal posters featuring product photography. 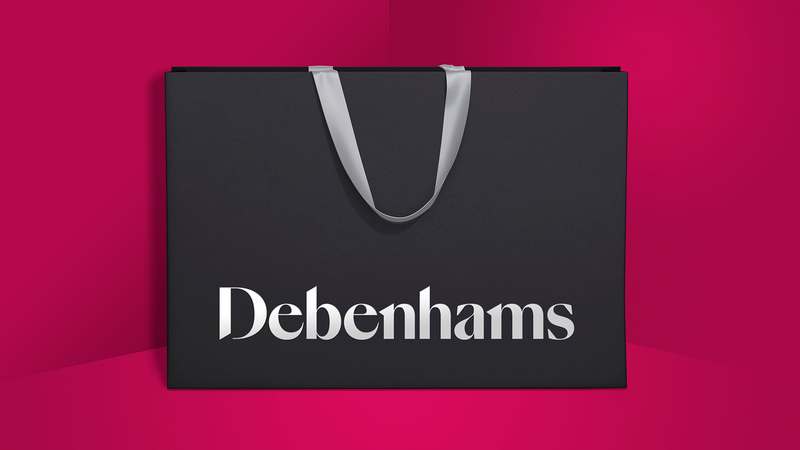 The new branding followed a turbulent financial year for Debenhams, which, in line with many other department stores and retailers, saw its profits sink by 84% over six months at the end of 2017 and start of 2018, compared to the same period the previous year, according to the BBC. 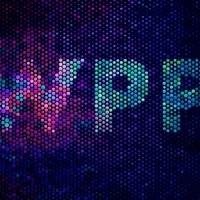 The new logo received mixed reviews, with some readers saying it added “a touch of sophistication to the brand”, while others said the new brand hadn’t been designed for digital platforms. In this opinionated piece, designers shared their views on the concept of brand guidelines, after a website called Adele was launched to showcase the design systems of famous brands such as BBC, Audi and Buzzfeed in one place. 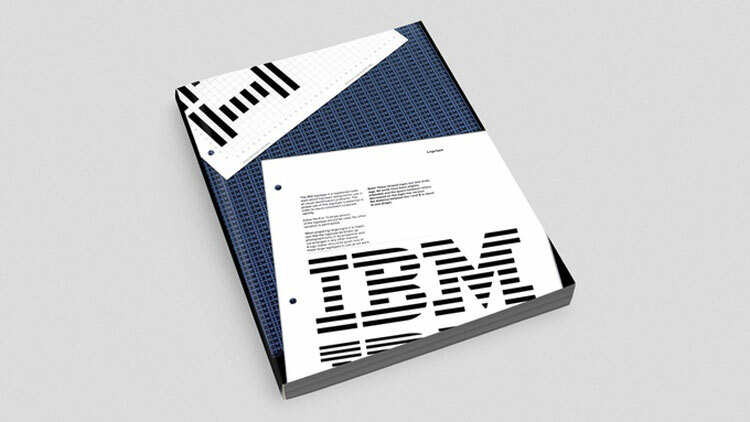 Designers from consultancies including Order, Neon and NB Studio told us what brand guidelines they would like to get their hands on, and whether they love or loath the concept of identity guidelines. Hamish Smyth at Order, however, told us that he would love to see the McDonald’s 1970 McDonaldland Specification Manual to peruse some of the brand’s most popular characters such as The Hamburglar, while freelance graphic designer Scott King told us he had a fascination with the 1970s designs of Butlins. What was your favourite logo or branding story of 2018? Let us know in the comments below. Interesting that two (at least) of the retailers featured here (JL and Debenhams) have posted either losses or poor results this year. Would the fees incurred have had an impact on these? Just askin’! More likely they wanted a re-brand to turn the tide of their poor sales. Clearly some great work and great respect for the designers involved. 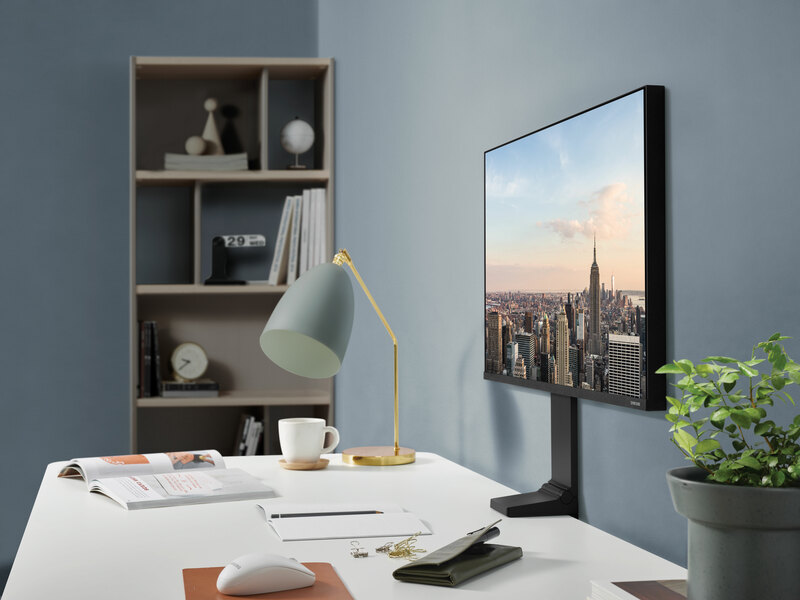 I’m a big John Lewis fan and looking at the way that the brand expresses itself across different mechanisms is great apart from one application and that is digital. This to me should have been where a JL&P rebrand should have started from with retail becoming so dependent on digital success. It feels like an after thought. The animations are great but it’s the practicalities use in its most basic form that disappoints and the website looks off-the-shelf. Which is a big shame. The Wolves colour is not “yellow”, but “old gold”. Part of its great tradition.